We provide top quality electronical devices since 1920. Casco offers connectivity products that complement its other power products—12V power outlets and DC-AC inverters—offering 5V power in the form of standard USB connectors. Casco offers a wide range of charging products, utilizing the latest chipsets to offer the highest performance at the best value. Continuously keeping pace with a changing consumer electronics market, including mobile devices, Casco ensures compliance within the industry’s strict automotive electrical and thermal requirements. Many of Casco’s power electronic products also provide a data interface between a consumer device and a vehicle. Casco’s connectivity products provide audio/video interface (e.g., auxiliary, component, HDMI) and may provide signal buffering or advanced signal processing and conversion. 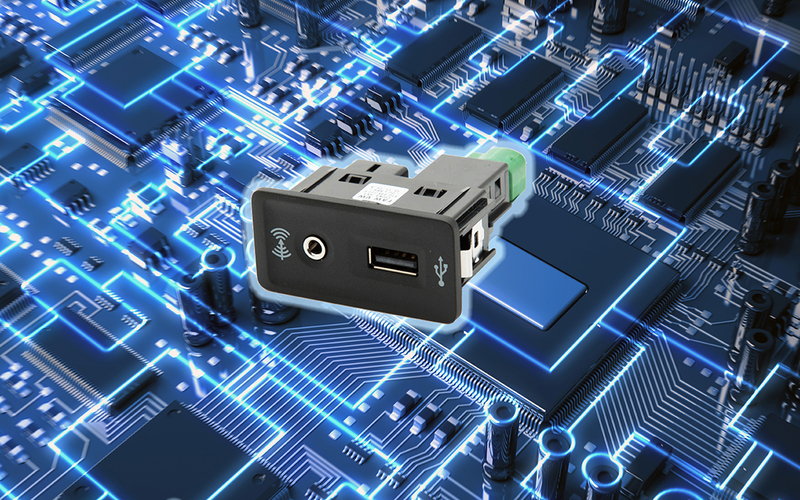 Discover some of our OEM Connectivity products. CASCO is an Amphenol company. We design to meet the global market and global vehicle needs. You can find out more about the cookies we are using and how to switch them off in settings. Strictly Necessary Cookies should be enabled at all times so that we can save your preferences for the cookie settings. If you disable these cookies, we will not be able to save your preferences. This means that every time you visit this website you will need to enable or disable the cookies again. This website uses Google Analytics to collect anonymous information such as the number of visitors and the most popular pages of the website.